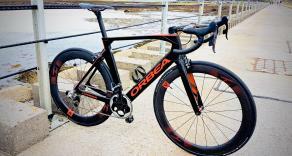 donal : My finished project, Orbea Orca Aero. Sram Red 1x11 Etap. Lightbicycle wheels 65mmR, 55mmF with 25mm Schwable pro one tubeless tires. 3T aero bars.